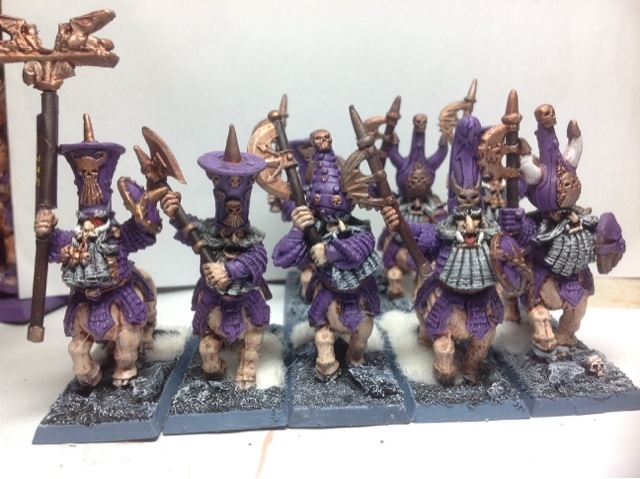 I have managed to finish a few more Taurukh for 9th Age Infernal Dwarfs. After to the deletion of the miniatures formerly known as bull centaurs I began converting these bros into infantry. However, since the dawn of the 9th Age they are back in pride of place in my army along with the potential to take their bigger brothers, the Taurukh Annointed. I rate these miniatures as some of my favourites evil empire miniatures of all time and I hope to include more of my favourite minis in coming posts.